Horseback riding can be an expensive hobby, but that’s not a problem for celebrities who love these animals. Some first rode their first horse while growing up, others only discovered horses when they worked with them on set. Find out more about the celebrities who love horses, from stars who own more than one horse, to celebs who even joke about marrying a horse, or stars who take equestrianism very seriously and stick to purebred horses. The highest earning supermodel in the world first rode when she was 8 years old. Bündchen’s love of horses started at her aunt’s farm in Brazil, but stayed with her since. “Instead of being scared, I said, ‘I want to do it again!’ the supermodel explained. Her husband Tom Brady also rides, and the two are also trying to share the love for horses with their children. Some celebrities who love horses grew up around them. Miley Cyrus was raised in Nashville, but she likes horses for more than just what they can do for her. “I love animals, but I don’t really like riding animals. Like, I don’t love being on a horse – it’s just not my thing. I feel kinda bad. Like, I just want to pet you. I don’t really want to put you to work,” Miley told Rolling Stone magazine. However, the singer recently paid $5 million for a new Hidden Hills home with a riding arena that covers an entire acre. The “Hannibal” and “The X-Files” star also loves horses. She even joked about marrying one. “What animal would I marry? Good question. I might marry a horse, definitely a male horse. Lucky me! He has one sure thing going for him,” she told The Guardian. After she first started riding at the age of four, on a Shetland pony, Hilary Duff grew up to be one of the celebrities who love horses. “My family owns a ranch outside of Austin with lots of land and a great house, and my parents used to put my older sister, Haylie, and me on the ponies when we were babies. We may have been just about able to sit up, but we knew we had to hold on tight,” Duff explained in the book “People We Know, Horses They Love” by Jill Rappaport. The actor clearly loves animals, as he caused an international scandal by smuggling his Yorkshire Terriers into Australia, but he’s equally passionate about horses. He rode them in plenty of his movies, but actually adopted the one he rode while filming “Sleepy Hollow”, saving him from being put down. Depp was almost trampled by horses while shooting “The Lone Ranger”, but it didn’t affect his love for horses. The same can be said about Madonna, one of the celebrities who love horses and kept riding after experiences two serious falls. While she took up riding in the UK, the queen of pop now keeps horses at her farm in the Hamptons. 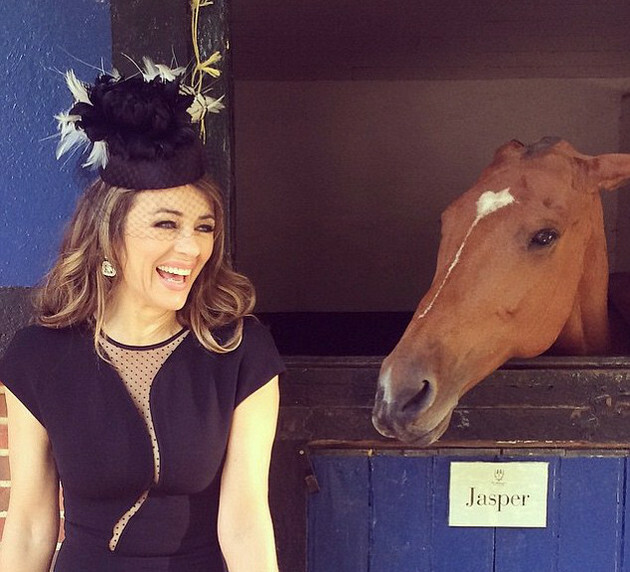 The English actress owns a stake in several racehorses, but it’s not just about business. 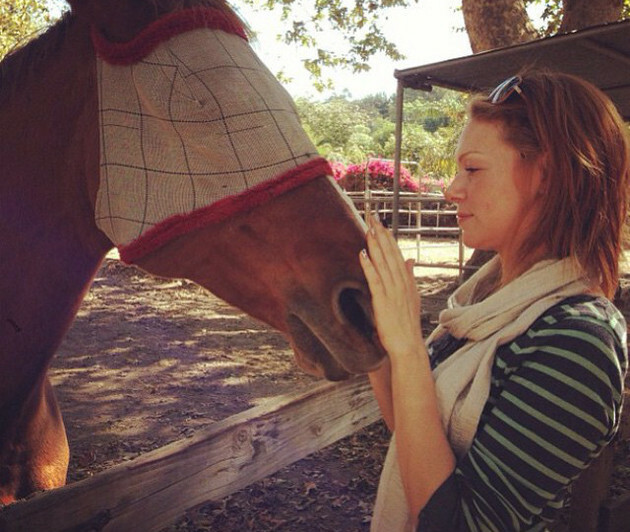 She’s one of the celebrities who love horses and she’s been enjoying working with one on the set of the E! series “The Royals”. One of the horses partially owned by Hurley was even purchased by Queen Elizabeth II. “Orange Is the New Black” actress Laura Prepon posed naked on a horse for People magazine in 2014, but it wasn’t her first rodeo. “I’ve never thought I would be able to afford my own horse by the time I was twenty one. I’m very excited about her and she’s the most beautiful thing you’ve ever seen,” Prepon explained about Jezebel, her first Andalusian horse. 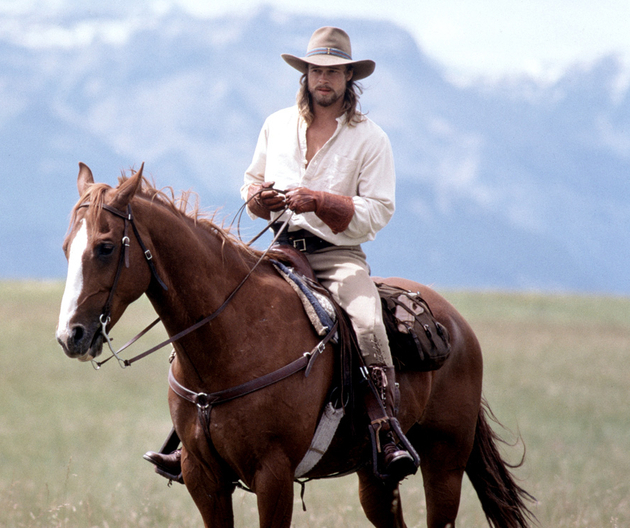 He rode horses in many movies, including “Troy” and “Legends of the Fall”, but in 2011 Brad Pitt officially joined the list of celebrities who love horses. The actor bought six Shetland ponies, one for each of his children, and also bought a horse for his wife, Angelina Jolie.